Tor Paranormal Romance, 9780765359636, 384pp. "They were destined to save the world from an ancient evil." Talos is a magic wielder, born into the mage guild of firecrafters. As an agent of the Overworld Police, he has come from a secret land to protect Earth from magicians intent on enslaving humanity. Mila has always had the gift of healing. But this very modern woman never realized that her skill was born of an ancient magic that only firecraft can fully unlock. Together, Tal and Mila discover that the source of their powers is in unity. Love's shining light might burn them alive protecting the magic of the world, but if the Tree of Life dies, and all the magic in the world is extinguished ... will it matter? "Magic's Design" is an "intricately detailed and densely complex fantasy romance" ("Booklist") from "USA Today" bestselling author Cat Adams. CATHY CLAMP and C.T. 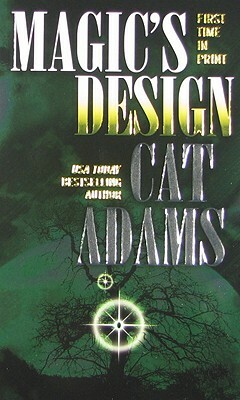 ADAMS are the authors of the Sazi series as well as the "USA Today" bestselling Thrall series. They live in Texas.